How long does it take for my piece to ship? Your hand-lettered cardstock or canvas will ship in one to two weeks. Special, handmade things take time! I like yo style, but I'm interested in a specific verse for my house! Can I request a custom piece? For sure! Check the Commissions page, then shoot me an email (below), and we'll make it happen. ​Wait, hand-lettered to order? Not printed on a computer? That's right! Hand done (minus the coffee mugs- they're totally printed). With that in mind, know that every piece will not be perfect, but that's what makes art so special, right? I can't decide between canvas and cardstock- what's the difference? That's a good question! 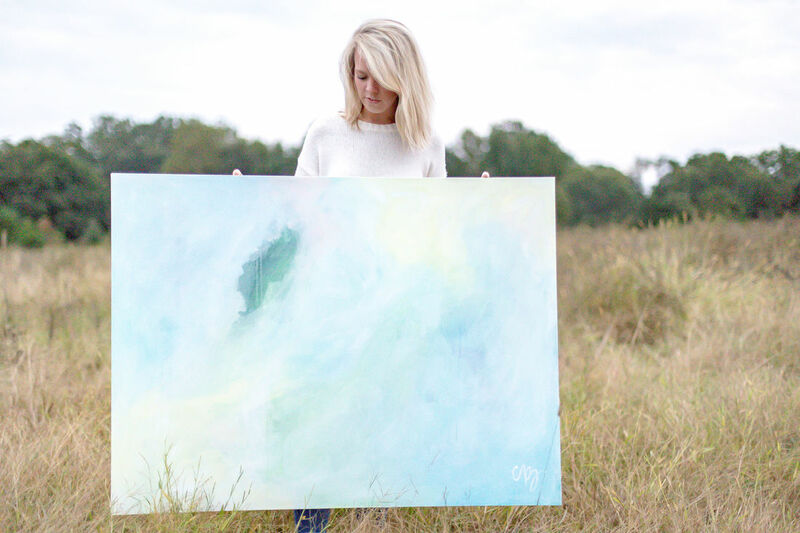 Canvases are durable and can hang on the wall without being framed (the sides are painted), while a cardstock piece needs to be framed (they look great in a gallery wall!). Local pick-up, huh? So where exactly do you live? I'm settled in a cute little house in Durham, North Carolina, guys and gals. For my wedding I want to have some chalkboards used as signage. Do you provide the chalkboards, or should I get them myself? ​It would be best if you purchased the chalkboards and let me handle the calligraphy. That way you get exactly what you want! How about invitation addressing? Do you do that? I do, and I would love to help you with yours! Prices vary depending on the style you want, but it ranges from $.75-$2. I can only handle one wedding per month for addressing invitations, so shoot me an email if you're interested, and I'll let you know what we can work out! I also always ask brides to purchase 20% more inner and outer envelopes just in case! FAQs didn't do it for you? Let's get in touch! Interested in a custom piece? You're in the right spot! Shoot me an email, and we'll figure out how to best serve your needs!